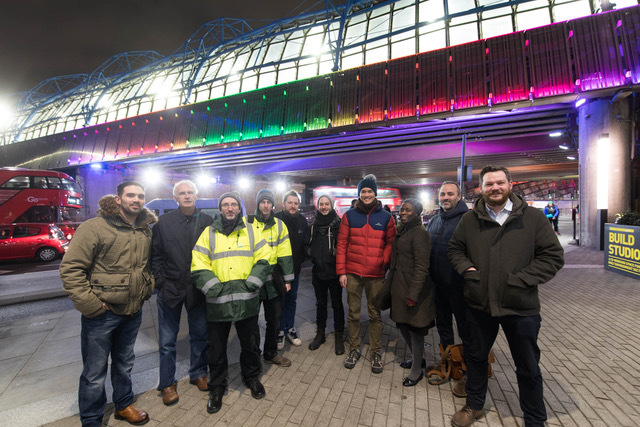 An exciting new lighting installation has been unveiled outside Build Studios that will greatly improve the experience of the area for members and guests alike. 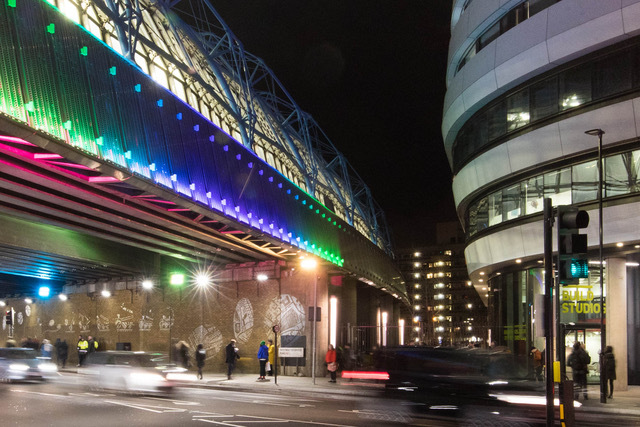 Commissioned by Lambeth Council, the project comprises new decorative lighting and animations, developed by artwork designers Make:Good through a collaborative project with local pupils and students from Oasis Academy Southbank, Oasis Johanna Primary and Morley College. The artwork has drawn inspiration from maps of the local area and iconic local landmarks. Final designs have been realised by lighting designers Michael Grubb Studio. The project was coordinated by Build Studios member Steve Wong from PWLC Projects on behalf of Lambeth Council. 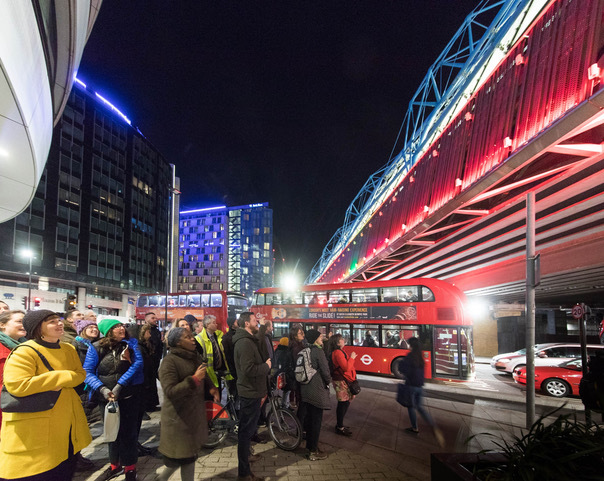 Cllr Jenny Brathwaite, Cabinet Member for Environment and Housing from Lambeth Council switched on the installation on the 18th January. 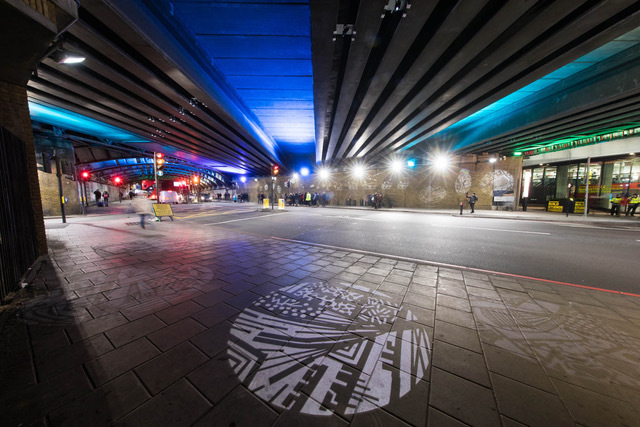 In an area like Waterloo where the public realm is so dominated by old rail infrastructure that can create a real barrier to pedestrians, we’re delighted to see wayfinding and public art combined in such a creative and effective way right on our doorstep.